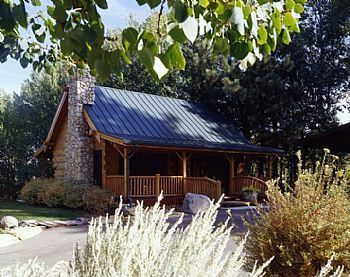 Log homes hark back to a simpler time, offering their occupants a sense of simplicity that's difficult to find nowadays. 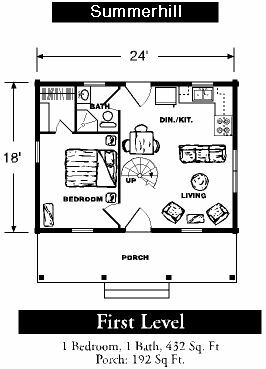 Of course, in this quest for the perfect retreat, it's only natural to looks around before settling on the log home of your dreams. 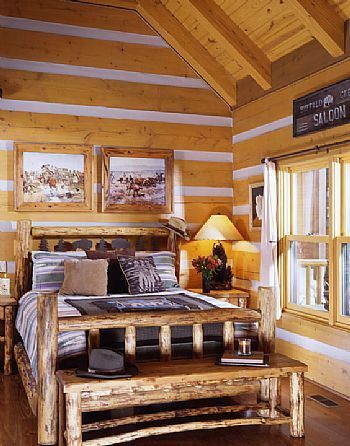 This custom Summerhill from StoneMill Log Homes in Genoa, Nev. may spark some inspiration. 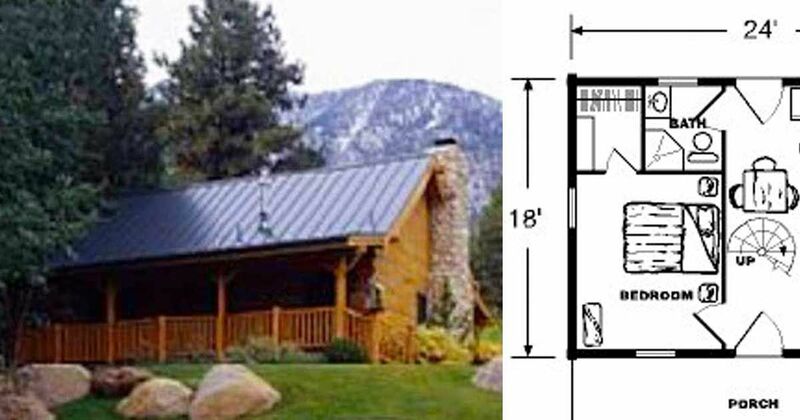 The standard Summerhill is 643 square feet, but this residence — dubbed "the Semas project" — is 682 square feet and is located on a stunning waterside vista with mountains in the background. 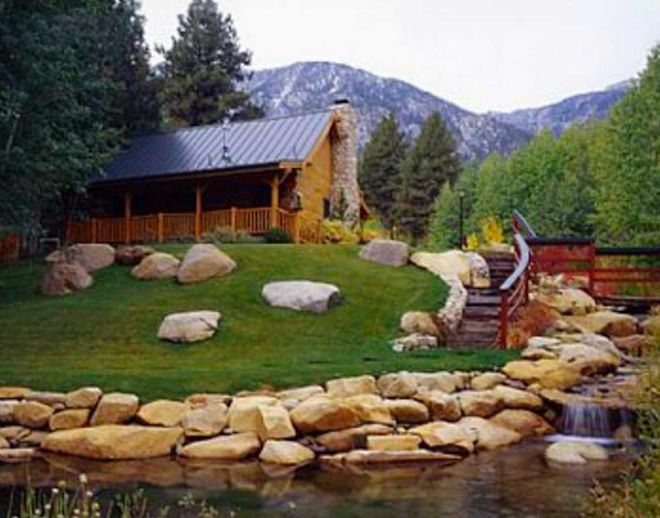 With such lovely surroundings, this home faced the unique challenge of being just as beautiful without clashing with the landscape. A peek inside will let you see how successful the Semas project was. The cathedral ceilings of the great room instantly make the area more spacious — grand, even — but the rustic furnishing and warm stone fireplace keep it grounded. 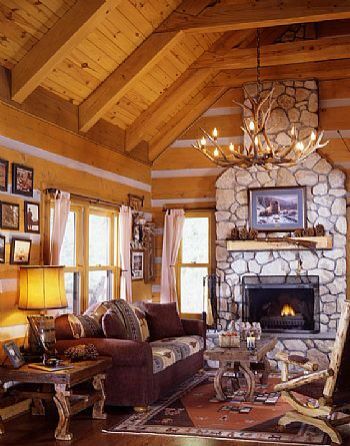 The antler chandelier is a genius way to incorporate ruggedness into the decor with style. The dining room features a table and chairs that have that same hand-hewn feel, and the large glass door allows enough light in to brighten everything up. 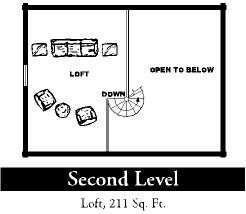 The sunny bedroom, too, benefits greatly from all the natural light. We are quite taken with the rustic bedframe and perfectly-imperfect bench. Would you choose to make the Summerhill your year-round sanctuary? 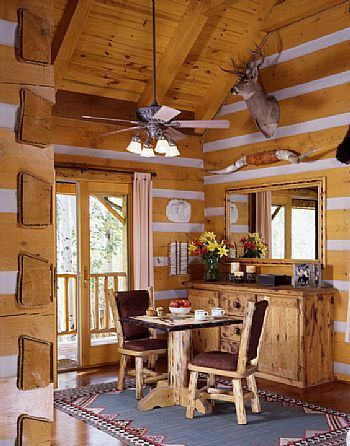 Don't forget to SHARE with other log home lovers!